Barritt Electrical are highly experienced and fully qualified domestic and commercial electricians. 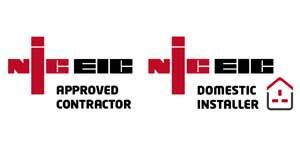 We are NICEIC registered, part of the Which? 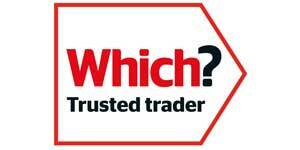 Trusted Trader Scheme and the Trading Standards Approved Buy With Confidence scheme. We are committed to delivering highest quality of service and achieving customer satisfaction. So, if you choose to deal with us for your electrical work you can rest assured that we will do every single thing possible to make you happy with the quality of our work and customer service. We are based in Bideford and regularly undertake Electrical work in Barnstaple, Ilfracombe, South Molton, Torrington and across North Devon. We provide a full range of electrical services. Our electricians can help you with digital electric heating, LED lighting, electrical testing and maintenance, new consumer units, rewiring, sockets, electric showers, smoke and heat detectors, garden lighting, security lighting, ventilation, smoke and heat detectors, smart controllers, CCTV inside and out as well as fire alarm systems, emergency lighting, inspections, repairs, PAT testing and all other types of electrical works. Barritt Electrical provides its customers with a number of competitive advantages. It’s important to note that our goal is to provide clients with an effective and affordable solution. So, if you choose to hire our qualified electricians we can guarantee that you’ll get the best possible customer experience. Feel free to contact us whenever you need to hire domestic or commercial electricians in Barnstaple, Bideford, Ilfracombe, South Molton, Torrington and across North Devon. We are always looking forward to helping you with all of your electrical needs! Copyright © 2017 Chris Barritt trading as Barritt Electrical | 2 Park Avenue, Westward Ho! Bideford | Website Design by Complete Marketing Solutions.